The Paddy Piston Race is a favourite for many of the team with the great track to race on, the fair challenge of a control tire and the good humoured nature of the entire event. 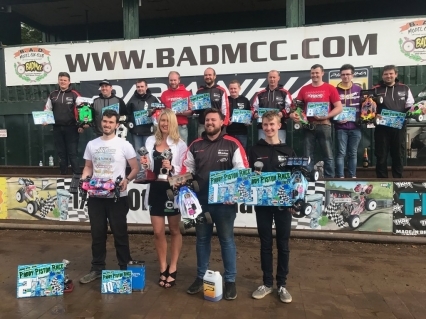 With the busy run up of the event complete, the Friday afternoon practise session was underway and the track was in fantastic shape, the track work undertaken by the team at BADMCC is truly unmatched and this is shown in the presentation and standard upheld by the race circuit. 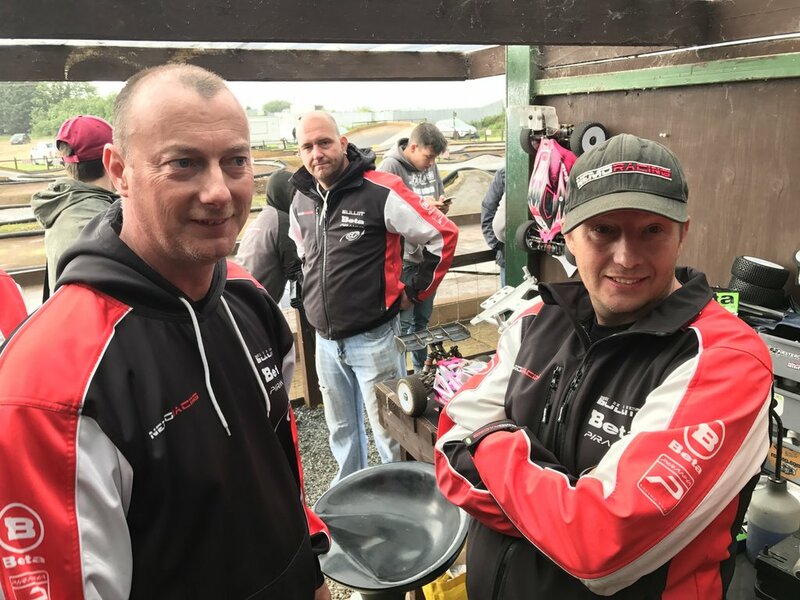 With 70 minutes of qualification track time over, the AGAMA order went Darren Bloomfield 2nd place, Gary Baird 3rd, Jon Hazlewood 5th, Barkley Abernathy 6th, Callum Niblett 9th, Andrew McClean 11th and Christopher McCauley 12th. 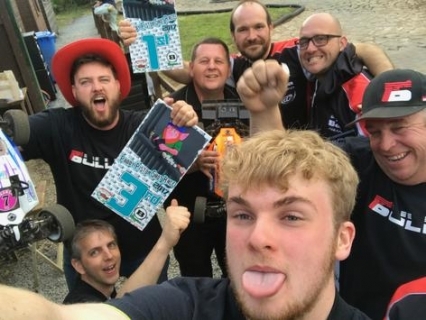 This made for 7 Agama/Bullitt drivers in the top 12, a superb achievement. Once qualifying was concluded, some fun races were had on the track. One of which is the sweetie race, a race where there are no rules and the winner takes all ......of the sweeties. The second being the famous shot race, which needs no explanation. Everyone really enjoyed this afternoon of fun and amusement. Early Sunday morning the first final started, the main final would be run last at 16.20, so it was a waiting game for our guys in the main final, although their time was fully booked helping out the rest of the team guys in the lower finals, this sort of team spirit is something that we relish here at NEMO. Some great performances were shown by our drivers, with Allan Bridgeman driving admirably to bump up his final, along with Mark Everitt also finding the bump up spot. The 1 hour main final preparations were complete and the guys were all ready to race. After being called onto the rostrum one by one, the countdown soon started and they were off. Darren soon took the lead and started to develop a very large lead of the 2nd place driver, he was in cruise control and made the gear look very very good, as it had been all weekend. Jon Hazlewood and Gary Baird, fought with others in the mid pack with positions being swapped left right and centre between them all, a great race to spectate. With the clock ticking down, the order stood with Darren in the lead, Jon Hazlewood in a podium spot and Andrew McClean and Gary Baird just behind, towards the end of the final, position switched around and Andrew McClean snatched the 3rd place podium spot from Jon in 4th, closely followed by Gary in 6th. This all stuck true till the flag dropped, with Darren taking a convincing win. A great performance from the young gun Andrew McClean to take the 3rd spot, Jon Hazlewood stuck it in 4th place, followed by Gary Baird in 6th, Callum Niblett 10th, Barkley Abernathy 12th and Chris McCauley in 14th. Well done all, a great performance shown. A huge thanks goes to the track team at BADMCC, but most of all to Mr Abernathy for his continued support, dedication and consideration shown every day. Thank you for another great Paddy Piston Race, we look forward to next year. This weekend we are at Slough RWMCC for the 2nd round of the SRS series.